Developers’ plans to expand an out-of-town shopping centre in south Leeds got the thumbs up from Leeds City Council this afternoon. 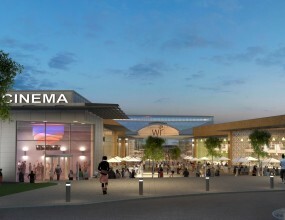 Councillors voted unanimously to approve plans by Land Securities and the Evans Property Group to add a multiplex cinema, restaurants, cafes and some new shops to the White Rose Centre in Morley, as well as expand the existing Debenhams and Primark stores there and build a new car park. It’s an approval “in principle” that comes with conditions. Councillors sitting on the city’s main planning panel insisted, for example, that they want the developers to cough up more cash than the £400,000 currently on the table for a contingency fund that would ensure that if there are traffic and transport problems that need sorting in the future it’s the developers who’ll pay, not the council. The plans have got to be approved too by the Secretary of State for Communities and Local Government before the builders move in. But unless we hear otherwise – and it’s unlikely we will – it’s a done deal. What about the objections, I hear you ask? 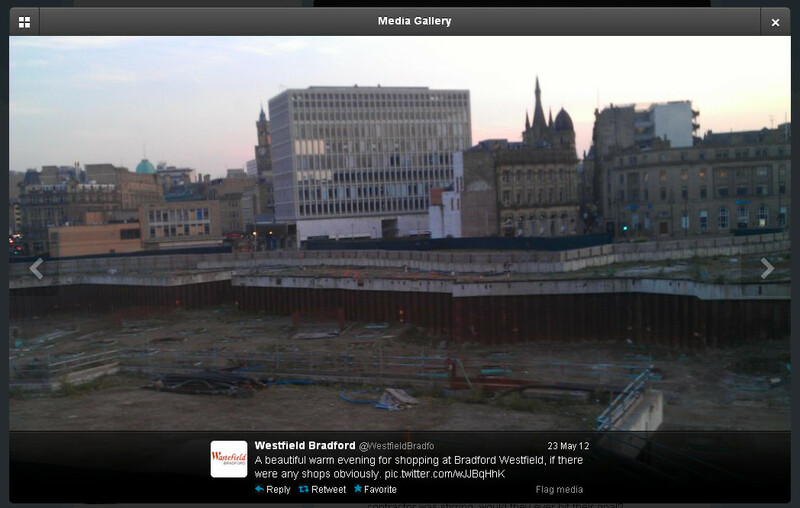 Weren’t Bradford Council and local Bradford investors – including the people behind the Westfield development and the Leisure Exchange – saying they were strongly against the expansion? Weren’t Westfield’s objections – that a White Rose with a bigger retail and leisure offer would pose a potential threat to the long-postponed start of its Bradford development – all over the radio this morning? Weren’t Wakefield and Kirklees councils objecting too? But no-one turned up at today’s Leeds Civic Hall planning sesh to challenge the plans – not even serial objector to “out-of-town” retail Hammerson, the developer of the forthcoming Victoria Gate retail and leisure development in Leeds city centre. Wasn’t Hammerson saying the White Rose plans would threaten Victoria Gate’s ability to attract retailers for its first phase and an operator for its planned cinema in phase two? But, given that none of the objectors turned up, none of their objections were discussed by the Leeds councillors on the panel. The more I go to planning meetings, the more confused I am about how this stuff works. This entry was posted in Uncategorized and tagged bradford, evans group, land securities, leeds, leeds city council, westfield, white rose. Bookmark the permalink. I think I’m right in saying that the Secretary of State doesn’t have to approve the applications but decide if he wants to intervene or not; as I understand it the first requires detailed consideration the latter just a decision whether what LCC have approved is sufficiently non-controversial to be allowed to stand. I would guess that the councillors took the view that in the absence of objectors the report they were considering which covered the objections at such length was sufficient to rebut the objections. It is good to see the councillors taking a robust line on potential traffic and transport issues. The proposal does not promise any more car parking spaces in total than exist at present and the aim to reduce the percentage of journeys to the Centre by car seems to me somewhat optimistic. The issue that I think hasn’t been properly bottomed is local employment. As I understand the local employment targets, which in my view are too low, have no mandatory force. For people living adjacent to the Cnetre, which includes some of the wards with high unemployment levels, the prospect of additional jobs is potentially a major attraction of the development and a compensation for the increased traffic which will result. As long as it doesn’t cost the council money and it creates jobs, there was never really an argument! I for one think the new additions will be a big boost and I will certainly be going more often!